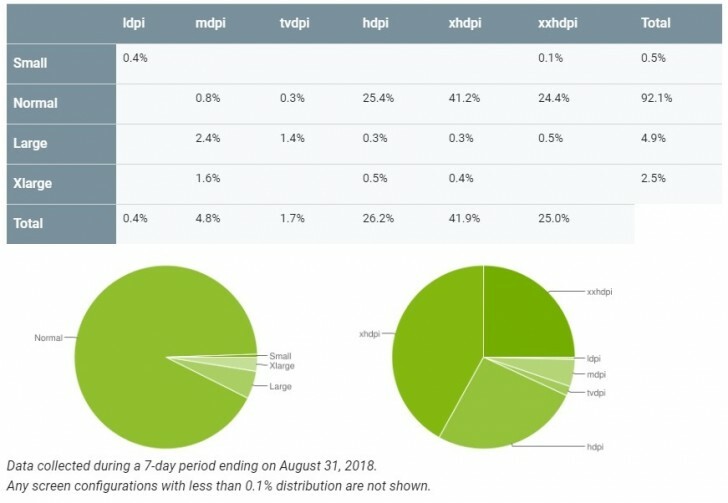 Google skipped a few months of reporting the state of Android distribution, it's now back on track with the latest statistics for the end of August. The usual trend continues - most of the older Android versions are going down in numbers in contrast to the newer versions. 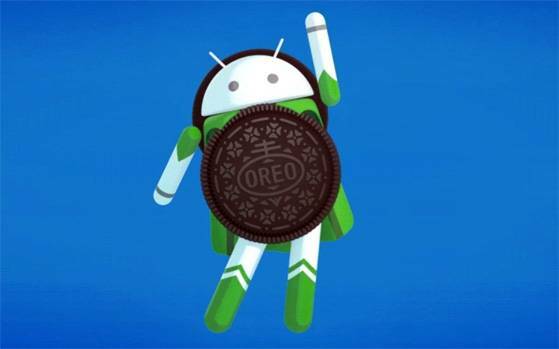 Compared to last month, 8.0 and 8.1 Oreo have risen by more than two percentage points from 12.1% up to 14.6%, which is probably directly related to the newly sold Oreo-powered devices. 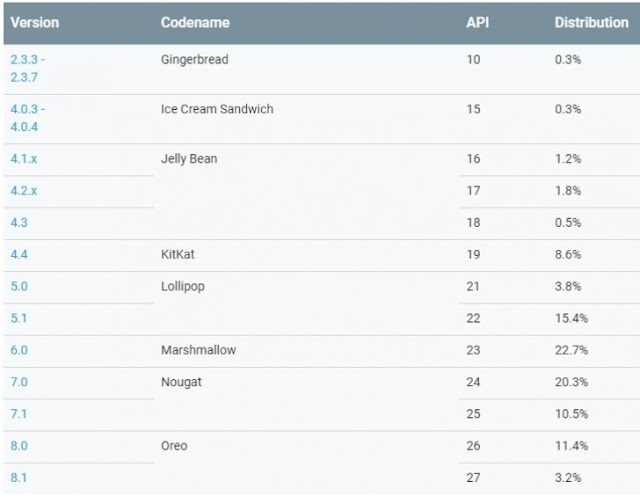 Interestingly, Nougat 7.0 and 7.1 numbers are exactly the same, although there's a small decline of 7.0 devices and an upwards trends of 7.1 handsets compared to July. 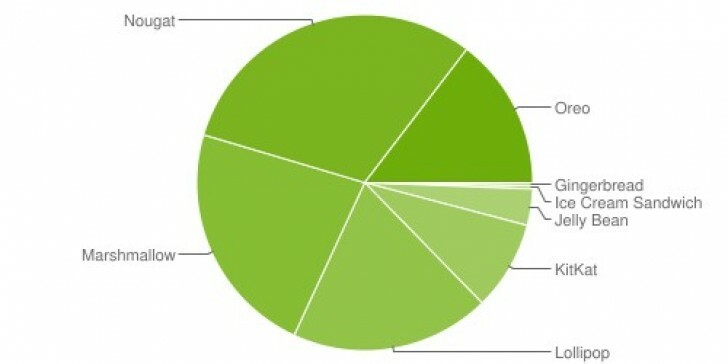 In any case, the Nougat share remains solid at 30.8%. Also, Google doesn't display Android versions with less than 0.1% distribution, which probably explains why we don't see 9.0 Pie in the charts. After all, only the Essential PH-1, Sony Xperia XZ3 and Google Pixel phones are running the latest OS version. Marshmallow has went down from 23.5% down to 22.7% - insignificant difference - and the same goes for Lollipop devices - from 20.4% down to 19.2%. The other versions appear to have leveled off with no meaningful difference between July and August's distribution. There are also interesting stats regarding screen size and pixel density that will surely come in handy to developers looking to further optimize their UI according to the trends. Check out the charts below and for more information, visit the source link below.